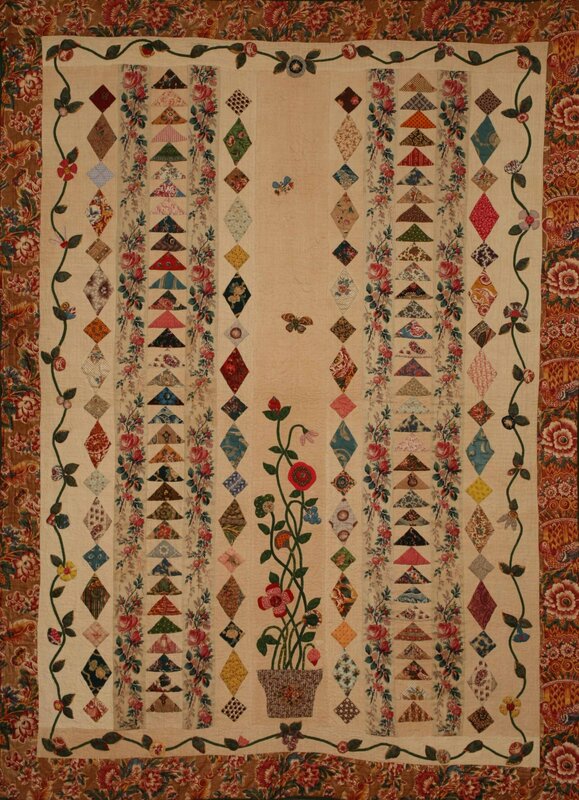 The Flowerpot Quilt is the first in a series of patterns created from the quilts owned by Florence Peto's family. Whimsical and charming, and only 47" x 64", it is very typical of Florence Peto's workmanship. She loved working with bits of fabric and often created the design to showcase a favorite one. This quilt is the inspiration for a fabric collection designed by Froncie for Newcastle fabrics and contains the lovely border evident on either side of the "flying geese" - in addition to the flowerpot fabric! The pattern includes some history of Florence, full instructions, color close-up pictures and quilting stencils taken directly from the antique quilt. Enjoy creating this lovely little quilt!